Super fruity kool kubes And Kool-Aid pops! Recipes included. 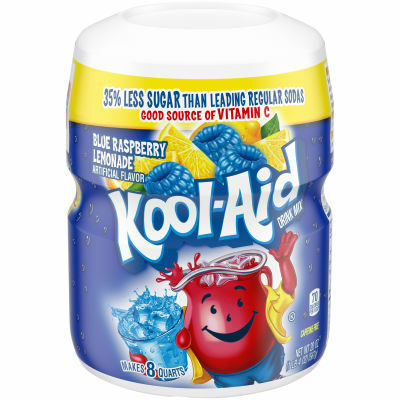 This product contains 17 grams of sugar per serving compared to 27 grams of sugar in leading regular sodas. Serving size 1/8 cap (18g) (makes 8 fl oz).